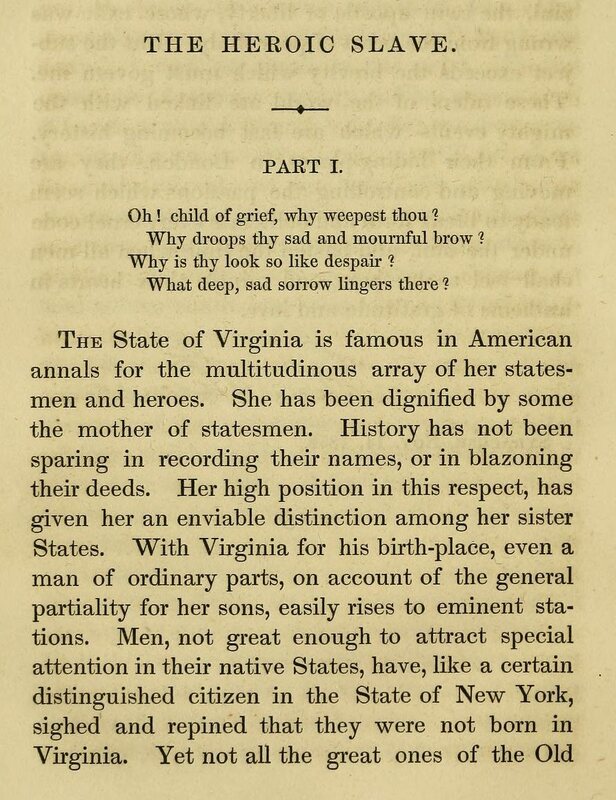 In this, the only work of fiction published by the writer, editor, and former slave Frederick Douglass, the case for the abolition of slavery rests on the shoulders of Madison Washington, the character described in the title. The real-life Washington led a revolt by slaves being transported aboard the ship Creole from Virginia to New Orleans in November 1841. As depicted by Douglass, Washington’s heroic virtues include idealism, determination, magnetism, and loyalty. All of these qualities require the intelligence on display in the Shakespearean soliloquy Washington speaks early in the story. The force of this example of a brilliant, articulate slave is doubled for readers who associate his eloquence not only with Douglass’s character but also with Douglass himself.